Fall Protection Training at METI is designed and developed for anyone who works at heights over 10 feet (3 meters). 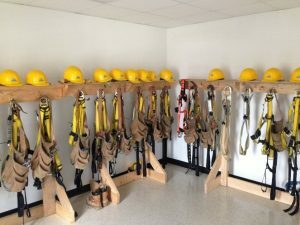 Fall Protection Training will enable you to effectively use fall protection systems, including fall arrest and fall restraint. Train to manage the risks of working at heights and assess and control hazards related to working at heights. Working at heights is a common activity, but it can pose serious hazards. Falls can result in severe injuries or fatalities. Our training follows Nova Scotia Workplace Health & Safetyregulations and trains you to manage the risks of working at heights. With METI, you will learn to assess and control hazards related to working at heights, including fall prevention and fall protection. Many work sites, whether within processing, manufacturing, construction or oil and gas, require the training to safely work at heights. 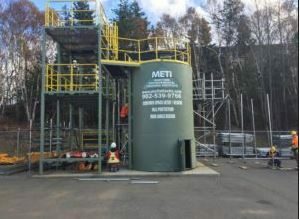 Having Fall Protection Training from METI will give you the skills to succeed. This Fall Protection Course is recommended for employers, managers, and supervisors, including those who manage contractors. Workers and contractors who perform work at heights, as well as health and safety committee members, will also benefit from taking this Fall Protection Training.